As always the Woodies have been busy! 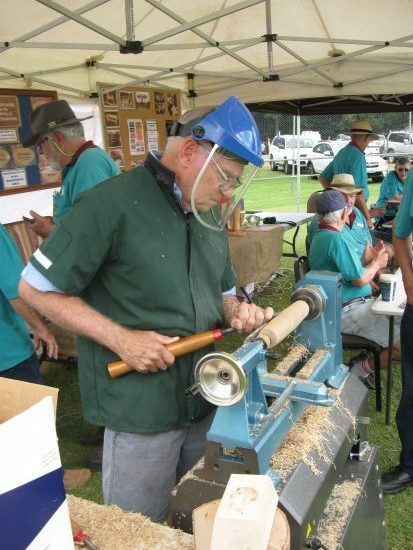 The Guild was among many participants who were on show at the Australia Day celebrations at the Maleny Showgrounds. 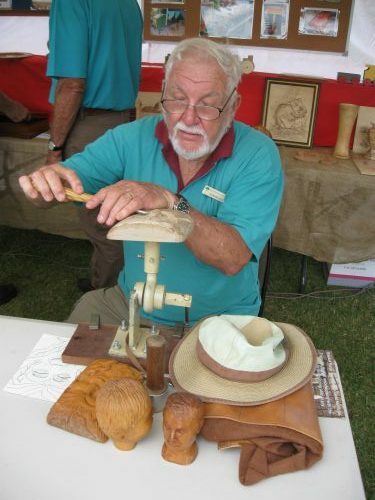 Apart from the comprehensive display of articles crafted by members, there were also working displays of woodturning, scroll sawing, wood carving and pyrography (pictures etched into wood with a hot iron). The Woodies recently completed the outfitting of the new Sunshine Coast University Hospital Chapel. The Guild was asked to make several items of furniture for the new Chapel which was to represent all faiths. A lectern and several tables were made in Southern Silky Oak, all wood sourced from trees salvaged on the Blackall Range. The BRWG has facilities to mill logs and dry sawn wood in their own solar kiln, so the project really was from “chainsaw to fine furniture”. 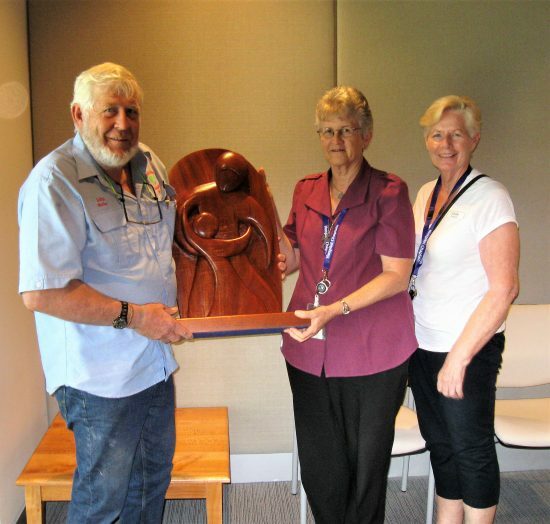 When delivering the furniture, Ann Shepperson, the Chaplain, spoke to one of the Woodies about a fitting sculpture in wood to be displayed on one of the tables. She wanted it to represent all faiths using the Chapel and to show a caring depiction of humanity. Philippa Friend, a Woodie and an artist, was asked to design a sculpture to the specification. The design chosen was of an adult in a caring pose with a child. The wood chosen was Red Cedar (Toona australis), which was salvaged from the Atherton Tableland from stumps left behind by the early timber getters. The carving was done by Tom Black, Kaz Depczynski, Dave Southern and John Muller. The Guild operates from Monday to Saturday inclusive between the hours 8.00am and 11.30am. 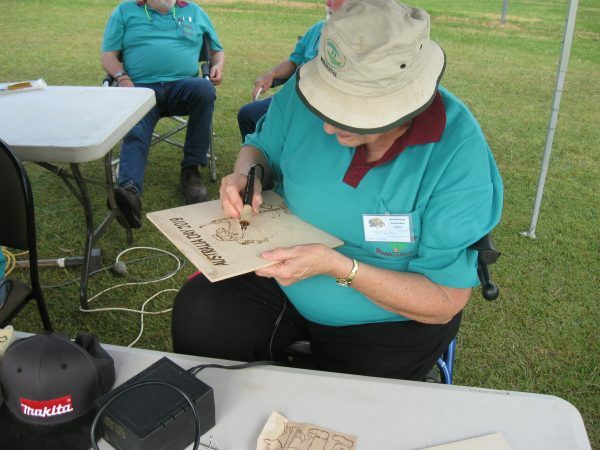 The Guild has two large sheds located on the Montville Sports Ground, approximately 3 kilometres south of Montville.